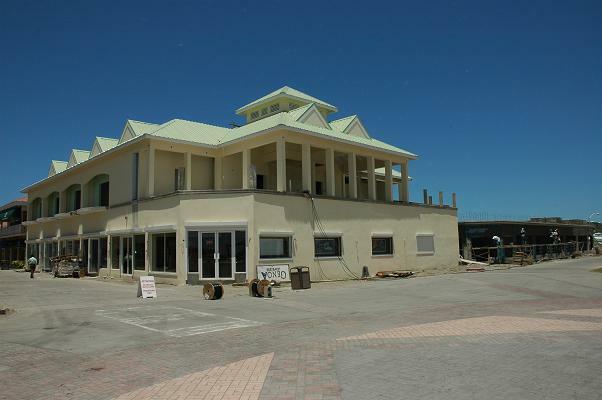 Work is progressing steadily on a number of buildings at the Port Zante cruise terminal in St. Kitts. The buildings will house a number of duty free stores that will sell jewellery and clothing as well as provide restaurant space and office accommodation. It is expected that with the opening of these new stores, the shopping experience at Port Zante will be greatly enhanced. For more information please refer to the article below. 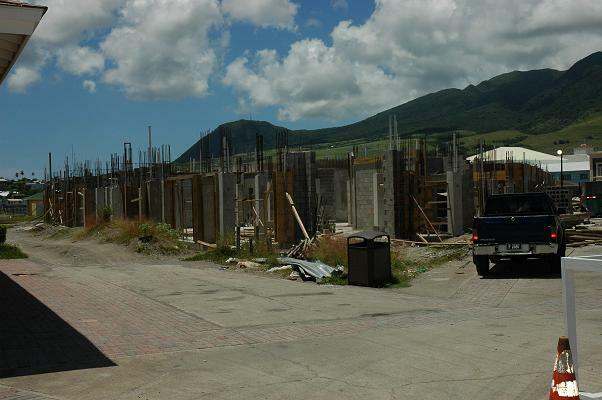 BASSETERRE, ST. KITTS, AUGUST 29TH 2006 – Port Zante expects to be home of some 55 shops by December and employing close to 250 persons by December, the start of the 2006/2007 cruise ship season, Manager of the Urban Development Corporation (UDC), Mr. Jason Kelsick has disclosed. He said the 8 buildings to house jewelry, clothing stores, restaurants, offices and various other businesses are at varying stages of construction. “Right around the main pedestrian walkway - the walkway around the center of the property – all the properties on both sides have been sold. In existence right now we have 65,000 sq. 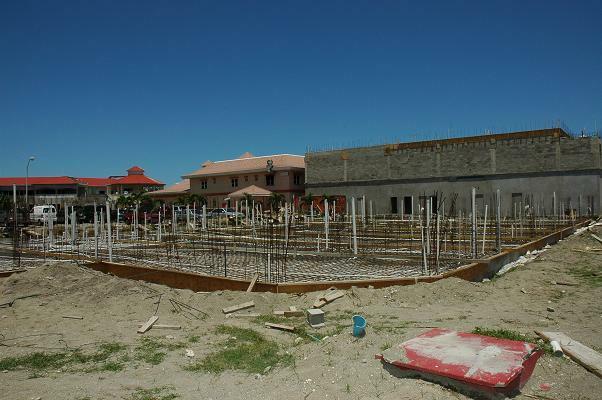 ft. of buildings and under construction we have another 130,000 sq ft,” said Kelsick in an interview with the Communications Unit in the Office of the Prime Minister (CUOPM). 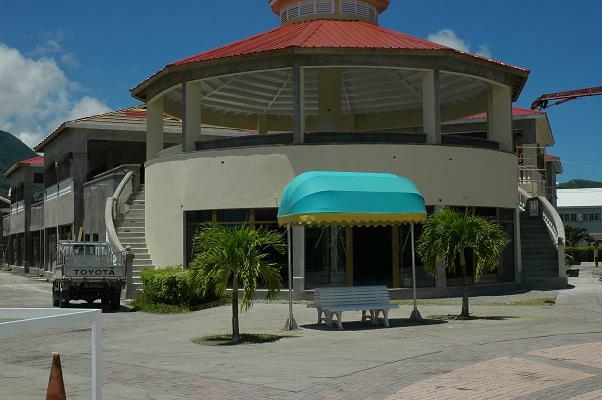 He said that the lots behind the main pedestrian walkway have also been sold and the UDC was close to conclude the sale of property for a 250-room hotel and casino site next to the marina. He said the developer is also looking at the construction of a second cruise pier on the eastern side of Porte Zante, that will be built with private funds, but at a time when the cruise ship traffic at Port Zante warrants a second pier. “I don’t think we need it right now, but perhaps in two to three years, we should need a second pier and this is one group looking at both sides of Porte Zante,” said the UDC Manager. The developer, which he did not name has expressed an interest in purchasing the land on the eastern side of Port Zante for the construction of luxury condominiums and entertainment facilities in a US$150 million investment. He said the three completed buildings house 15 stores. “By the end of this year, December 2006, we anticipate an additional 40 stores, that will comprise, I suspect with fixtures, fittings, an inventory of US$50 million in those new forty stores here on Porte Zante,” said the UDC official. 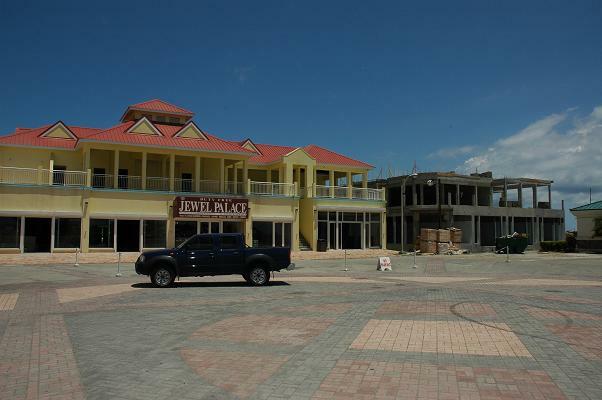 Mr. Kelsick said he expects some 200 to 250 persons to be employed in the shops on Port Zante. That's good. 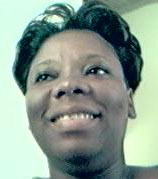 St. Kitts and Nevis offer a beautiful tropical local for a permanent or second home if you so choose for the shop-owners. Great place. The right event could help to put your property at the top of a lot of wish lists.